How Do You Say Pecan? 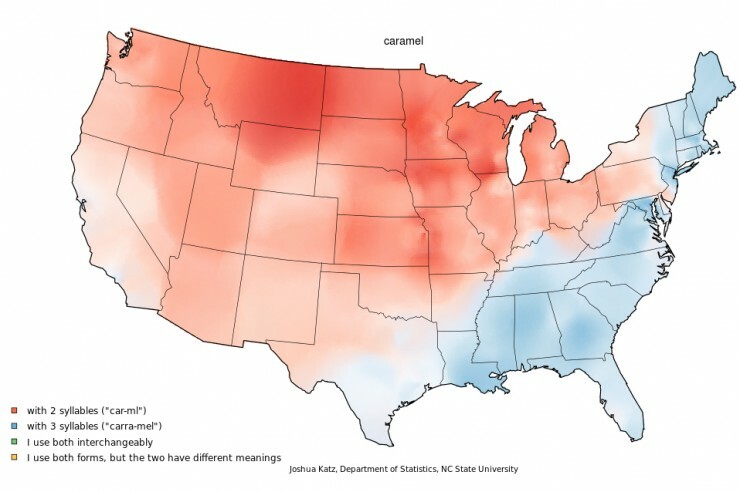 Mapping Food Dialect Trends Across the U.S.
Do you say "caramel" or "carmel" – or both? See this nut? We’ve posted about how pecans are grown, their nutritional benefits and our favorite pecan recipes, but we’ve never really discussed a popular topic of debate: Are they pee-KAHNs, pee-CANs, PEE-cans, pick-AHNs or some other pronunciation? How do YOU say pecan? 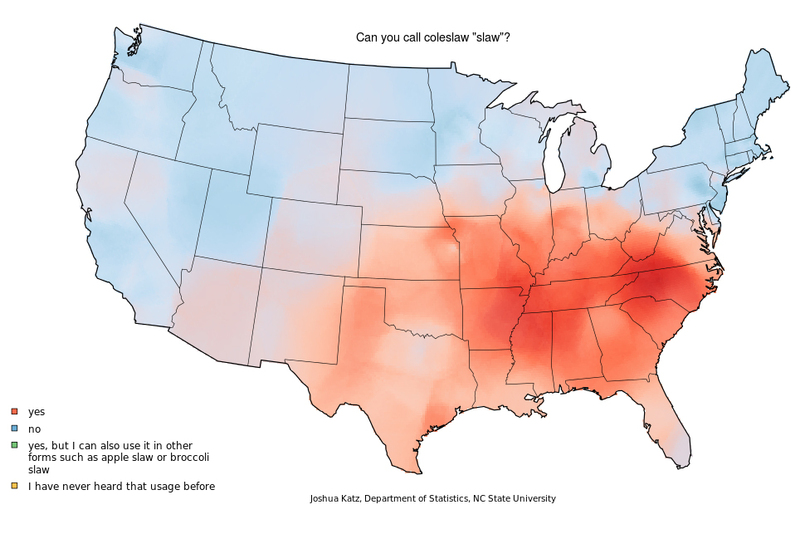 We found this research fascinating, so we’ve compiled a few of these dialect maps related to food. We had no idea that some people never refer to coleslaw as simply “slaw,” if other people also use “caramel” and “carmel” interchangeably, or if there really is a difference between frosting and icing. We did, however, know that The Great Soda/Pop/Coke/Soft Drink Debate will never be resolved. I always say “Pih-KAHN” (I’m from NYC but my mom was from Texas) 🙂 Hearing it said any other way sounds completely unnatural. And given the fact that the Pecan tree’s natural range is more southern in North America, I think “pih-KAHN” should be the standard. But it’s not too big a deal. Thanks for posting this, it was fascinating to read! I grew up saying pih-KAHN or puh-KAHN, when referring to the nut, but we make and eat PEE-kahn pie. My mother is from southern Oklahoma so this influenced our vocabulary and pronunciations. I’m from Ga and we say Pee-cans. It is a native American word which means nut that you crack with a rock. The correct pronunciation is Pee-cans. That last one, Soda. In northeastern Massachusetts (Lawrence, Methuen, that area) we call it TONIC. pick ahn and pick ahn pie. I live in SE Missouri but was raised in Southern IL. I grew up in north Florida . My Mother grew up in Georgia. She wouldn’t allow us kids to say “Peecan”. It was vulgar. She said a Southerner said “Puhkhan”. A redneck / hick said “Peecan”. To this day I can’t say “Peecan” I now live in Australia and everyone here (EXCEPT ME) calls them “Peecan”…I hate it! There is no long /e/ sound in the word! Both my parents were born and raised in New Jersey but although I was born in France most of my childhood and early adulthood was spent in Jacksonville, FL. I say PEE-can (even with pie), slaw, carra-mel, icing, MAY-naze (2 syllables) unique huh?, crawfish, sih-rp (nearly 1.5 syllables), Thanks-GIVing and soda. Now I’m really hungry! Seems to be a pretty predictable mix of upbringing. I really enjoyed the maps. My original reason for looking this up was for pecan, I heard an Irish chef say pik-KAHN and wondered how that pronunciation traveled across the pond. Hey, the New Castle County (northern tip near Philly) of Delaware should be “PEE-can”, “crayfish”, and “searup”. The lower 2 counties have a southern feel and the pronunciations seem accurate for down there. I pronounce it “puh-KAHN”. Lived most of my life in north-central NC but father from Mississippi and mother from Greensboro, NC. Not sure if that is heard differently from the above four choices. Also, I don’t recall ever hearing “frosting” except on TV ads until my early 20’s. It was always “icing” when I was growing up. Coleslaw was always “coleslaw”. A “soft drink” was either a “Coke” or a “Pepsi”, not interchangable. Maybe that was because in NC you were drink specific, one was either a loyal “Coke” or loyal “Pepsi” person, rarely crossing over. Definitely “sir” up. 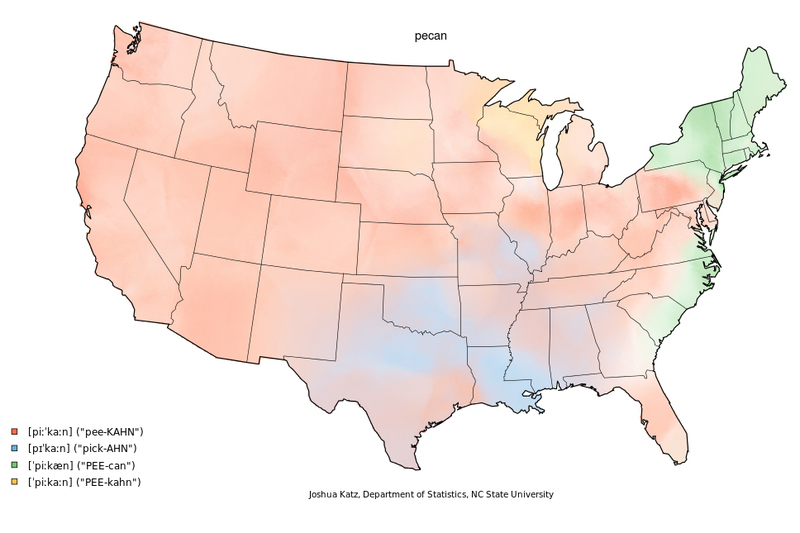 The pecan map key doesn’t even spell the blue region pronunciation phonetically correct; we say “puh-KAWN” not “pick”. This is what you get when a Hebrew tries to decipher the southern dialect. Nothing against Hebrews I married one and she kaint tawk rat none neether lol. This is incredible. Thanks for doing the research on this topic. I always thought I mispronounced words due to growing up in the Southeast. I say “coke”, “pee-can”, “craw-dad”, “Thanksgiven”, “sir-up”, “man-aze”, car-mel”, and both”frosting and icing”. 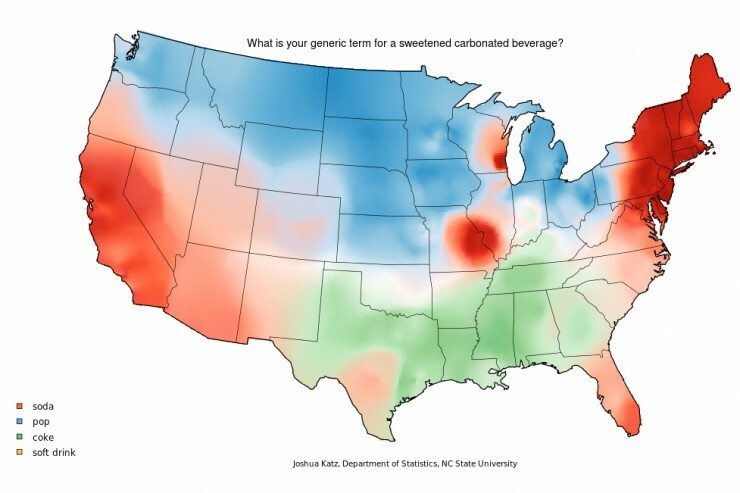 I’m from Houston and me and my family always refer to a sweetened carbonated beverage as a coke but I live in Kansas City missouri and people say soda but I know people who say pop. it’s just so strange. some of my dad’s side of the family is from Ohio and they say coke as well. Hi Alex, I too appreciate the quality of the writing regarding the subject of the pronunciation of pecans. Nobody eats coleslaw in Texas. Car-ml, it really peeves me off when someone says carra-mel, they sound like a complete snob. Icing/Frosting are the same thing. Syrup is 1 syllable serp. Thanksgiving is Thanksgiving is Thankisgiving. In Texas if you ask someone what the want to drink and they say Coke, you ask them what kind and they’ll probably say “Dr. Pepper”. It’s all Coke. I call a sweet carbonated beverage all four ways. (Soda, Pop, Coke, and Soft Drink) Just depending on whatever one comes to my brain first. I messed up due to Google’s auto correct. I say pecan and not pecon. I don’t know what they were thinking when they made the last map.. I’m from Dallas, TX, born and raised, and no one here says “Coke” unless they want a coca cola. Everyone here uses “soda”. I prefer pihKAHN and I definitely believe that this is one pronunciation that the world should adopt. 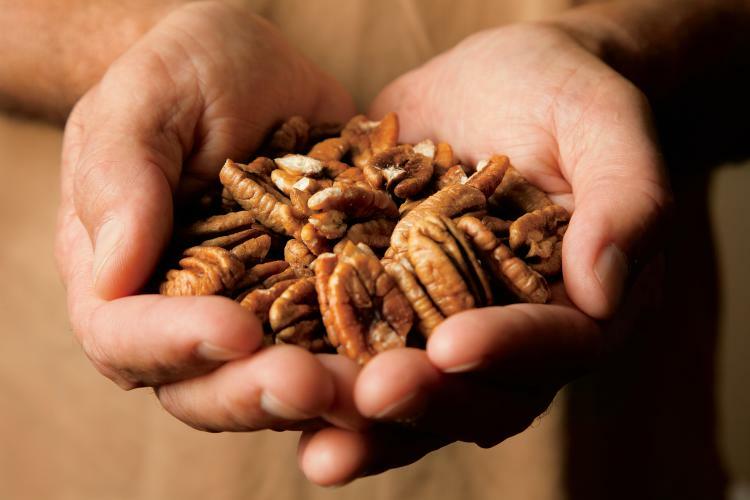 I just reviewed the history of pecans and noted that they were discovered in Texas and Mexico. 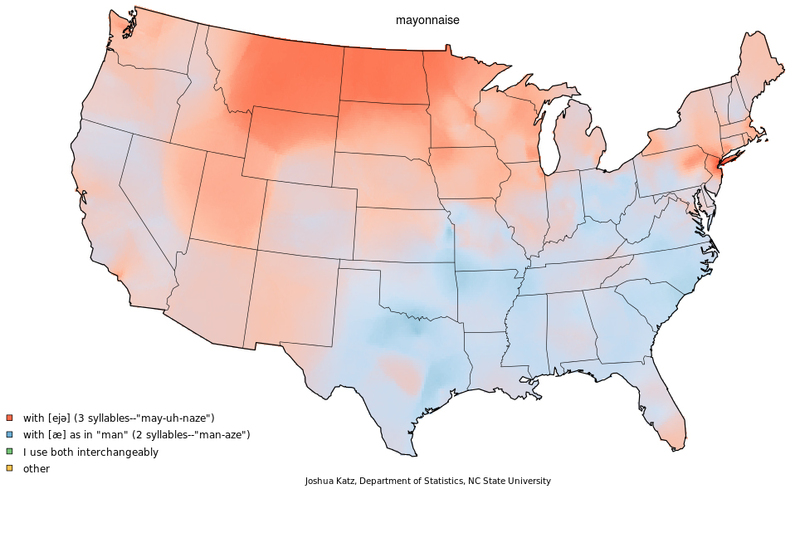 So why should we give people from other areas in the US the choice to pronounce it as they see fit? We even let people in the UK the option to pronounce it as they want. I realize we have no way to enforce a pronunciation code, but we can be ascertive. Other populations don’t hesitate to insist that we pronounce words as they see fit, and many of them believe we are among the uneducated masses because we don’t obey their code. I, too, am from Texas and, in the past, I jogged down a country road lined by pecan trees every day. So, give some authority to a native. Pronunce the word pihKAHN. Every other pronunciation is irritating to my nature. 3. I have a friend from south Louisiana > mayonnaise is —- MY – a – nez or something un-pronounceable like that. I grew up and live in Dallas, too, and we say “Coke” and “Coke machine.” We rarely use the word “soda,” though we do use it sometimes. We offer guests a Coke. They ask “what kind?” Coke, Sprite… I agree that for the longest time Coke and Pepsi were the most popular. Dr. Pepper is popular, too, but I wasn’t a fan. I haven’t had any Cokes or sodas of any kind for about 8 years. I’m from Australia, and like all Australians say pee-can. I grew up in Hapeville, just between Atlanta and Hartfied/Jackson Airport, so everybody knows that you have a Coke every THANKSgiving, when you have SIRup on your pancakes. A good southerner also likes manaz on his CRAWfish. PS I also like car a mal on my PEE cans. I’m surprised that buggies (shopping carts) didn’t make the list. Originally from Charleston, WV – pretty much the middle – and our whole family says pih-kahn. Peecans are another name for bed pans. I live in the Northwest. Because of people moving here from different areas (transplants), most of these words are interchangeable. It depends on the word-influence you had, growing up. How do you pronounce salmon? Not true in all words! You wanted comments about the pecan, but more importantly is that you left out the word of choice, at least in my Boston, MA, family for a soda: tonic. It is always called tonic! Do you want a tonic? Do you want a glass of tonic? How could you not include this? Surely we are not an anomoly! I’m from Houston, TX. Most of the people I knew said it more like Pah-kahn. I live in Eastern NC and until someone can explain to me how an A can make the sound of an O it will be pee can to me!!!! Here in south Louisiana, a lot of us say MY-nez, a borrowing from New Orleans’ unique dialect. Also, the cultural icon and historical delicacy in Cajun country is crawfish. A lot of satires of hillbilly culture use craw dad. Crayfish is considered a snobbish Yankeeism. I spent the first 1/3 of my childhood in MA, then 15 years in Georgia and then back up to Rhode Island. The majority of my formative years were in the South and I didn’t even realize just how much that has influenced my pronunciation. I don’t have a southern accent but now that I’m back up in the NE, hearing people say “see-rup” and “pee-can” and “mayon-naze” just grates on my nerves. It just sound soooo unnatural. I say pick-AHN. I’m from Plainview Texas, the panhandle/ northern area. I’m right in between Amarillo & Lubbock. I enjoyed the comments, but had to say that the a doesn’t make the o sound it makes the a sound like again or above or amen or like a by itself. Also, we pronounce it Arkansaw, not Arkansas. Doesn’t anybody else pronounce it “pih-CAN”? ‘Pa-KHAN’: Dana already explained how this is correct. ‘Slaw’: no, that means just ‘salad’ (hence apple & broccoli types), but if I mean ‘salad’ I’ll say so. So ‘coleslaw’, preferably Primanti Brothers’ (mild, non-creamy kind, goes on sandwich). Caramel, mayonnaise: 2 syllables each. Icing is thinner than frosting. Typically made of powdered sugar, milk, & vanilla. Consider: Ice glazes things; icing is a glaze, but frosting is not. Ice is often translucent; icing is translucent, but frosting never is. Thick frost is opaque; frosting is thick & opaque, but icing never is. Not sure how they can be conflated. Crayfish: Same principle as in ‘pa-KHAN’. The Middle English is ‘crevis’, with the ‘e’ pronounced as ‘ay’. ‘Sih-rup’ I guess (haven’t analyzed the history yet & not sure how it sounds when I say it). ‘ThanksGIVing’ is the holiday, ‘THANKSgiving’ is an act. Not sure why they make sense that way. ‘Soda’ seems more logical than ‘pop’. P.S. I’m from NE Ohio (1 hr S of Cleveland), but live in NE Indiana. I’m from Mis-sippi and went to the store to buy a Coke but it’s always a diet Dr. Pepper, to wash down the car-mul sweetness of a pi-kahn pie. I love crawfish etouffe and when my daddy brought em home they were crawdads and mudbugs from Lu-sianna. THANKS-giving meant chicken n dressing, and nanner pudding . We had sur-up on our biscuits, too. I love, to this day, a nanner sandwich with man-aze and bananas sliced up in the middle. Slaw is a side dish for fish and seafood and served with hush puppies . I never knew that people ate it on their pulled pork sandwiches until I moved to NC! They also missed the point of barbecue sauce in NC. I have yet to find the thick sweet n spicy barbecue sauce of my youth here in NC! I’ve adapted to enjoy their vinegary sauce, but it doesn’t replace the barbecue sauce I love from Mississippi!. Living my whole married life in Alaska, we ate sam-men ( salmon) and in Australia, this Mis-sippi girl was amazed at the way they eat a fried egg atop the most expensive Wagu steak or atop their calimari and seafood salad!! That’s just wrong! My mother (Born and raised in Arkansas) taught us that a puh-KAHN is a delicious nut, and a PEE-can is something that you most definitely would NOT want to eat! Suburb of New Orleans [upper Jefferson Parish] and some parts of the City say puh-KAWN, puh-kawn pie, crawfish, slaw when too lazy to say coleslaw, and May-u-naze. Crawdaddies is a slang for crawfish. Old downtown New Orleans’ people say my-naze, as well as zinc for sink and earl for oil, and turlet for toilet [pronunced by the rest if us as toy let]. On the other side of Orleans parish is St. Bernard Parish [think county], and in the city of Chalmette [shall-met, Dawlin], seems like in the 70’s everyone had a mom named Jerse [not Joyce] and a sister named Daw leeeeeeen. We have soft drinks, not generic coke. Thanks for the fun maps. Icing and frosting are two entirely different things. Pe KAHNS are nuts. Peee cans go under the bed. I grew up in northwest Tennessee, as did both of my parents. What about “sody” water? That’s what my grandmom called it. Born near Magnolia TX and lived in Houston most of her life. The rest of us said coke. And puh KAHN certainly has a more mellow sound than the other pronunciations. This article was interesting and cute. the comments were really great. I caught many a crawdad in a country stream, but when I heard “crayfish” years later, I just thought they might be cousins. I was raised in where the panhandle line met the Red River in North Central Texas, and our business had many OK customers, also. It seemed that we were evenly divided between Coke and Soda. Then I went to college at Texas A&M, and my roommate, who was raised at Eddy in central TX, asked for sody water— I cracked up! I had never heard that. I called it coleslaw, but NEVER contaminated a good Bar-B-Q sandwich with it— nor with MAN-nays!! We licked the icing bowl and sneaked some pick-kahns being chopped for a THANKSgiving treat — sweet potatoes with carra-mel, which we NEVER called yams, like those yokels in East Texas did. I feel really out of place looking at these answers since I’m from Wisconsin where we can it PEE-khan. I also say soda, car-mel, icing and frosting are similar but are two different things. We also call drinking/water fountains, Bubblars. What’s the difference between GA and FLA? In Florida the first sign you see says “Clean Restrooms”. The first sign you see in Georgia says: “PECANS”! Weird. I grew up in New England (mostly Maine) and have always heard people say puh-KAHN (maybe because I grew up around French-Canadians?). I actually grew up thinking PEE-can was the southern pronunciation. I’ve had it backwards all this time?! Born in SW Arkansas (AR kan saw) and lived mostly in Texas/Arkansas with time in SC, MA, and RI. I wondered if they were putting me on but I started hearing other people ask for ‘coke’ so I got used to asking “what kind?”. In Missouri we say puh KAHN, not pick AHN, or pee can or kahn. My kids tease me because I say “ong-yun” for “onion”. Don’t know the basis for that pronunciation. From South Carolina. It’s pih-kahn or pih-con for the nut. 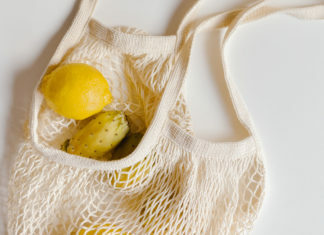 A pee-can is something one used before toilets were invented. Amazing what some folks can do with pronunciations, but to each his own. Originally from Arkansas, but been in Georgia most of my life. Slaw- as in I’ll have a chili cheese slaw dog….I mean, I know the whole name is cole slaw but that’s the only kind of slaw we tend to eat in the south so why bother with the cole part? Here is South Carolina we call them Pee-Cans.We call mayonnaise mayonnaise and the only mayonnaise we use is Dukes mayonnaise.Dukes is the best mayonnaise on the market.We call coleslaw slaw.Frosting and icing are the same,but we call it icing lol.We call caramel caramel.For soda we call it by the name,Pepsi or Coke.The bestselling drink in South Carolina is Pepsi,but I am a Coke drinker myself.I just love articles like this,you can see just have different things are across the USA. I was taught by ppl from E.Texas that after you pick cotton all day long you eventually have to use the bathroom. For that you use a Pee Can. But if you want to eat the nut, you will eat a pihKAHN, pick-AHN, Puhkhan or some variation of that. If you want to tell everyone where you plan to use the bathroom, keep saying Pee Can.